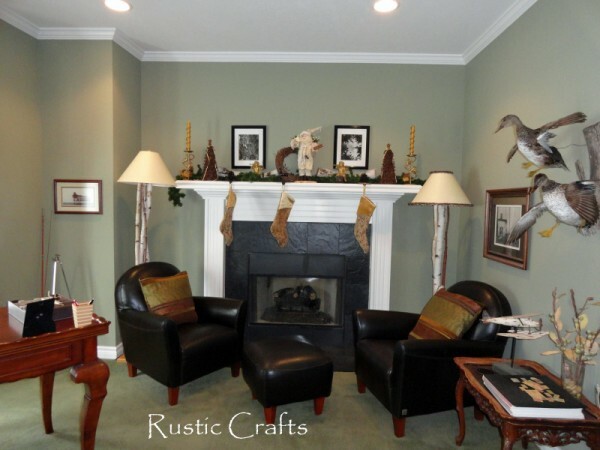 One of the first things that I like to decorate for the holiday season, even before the Christmas tree, are the fireplace mantels. We have three different fireplaces, throughout the house, each with its own unique style. 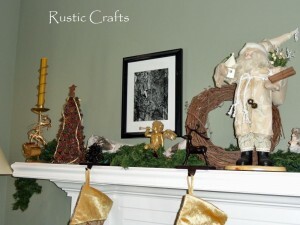 I like to give each mantel its own personal look but still incorporate some rustic touches into each one. Our basement fireplace is the most rustic with stacked stone and an actual wooden log for a mantel. 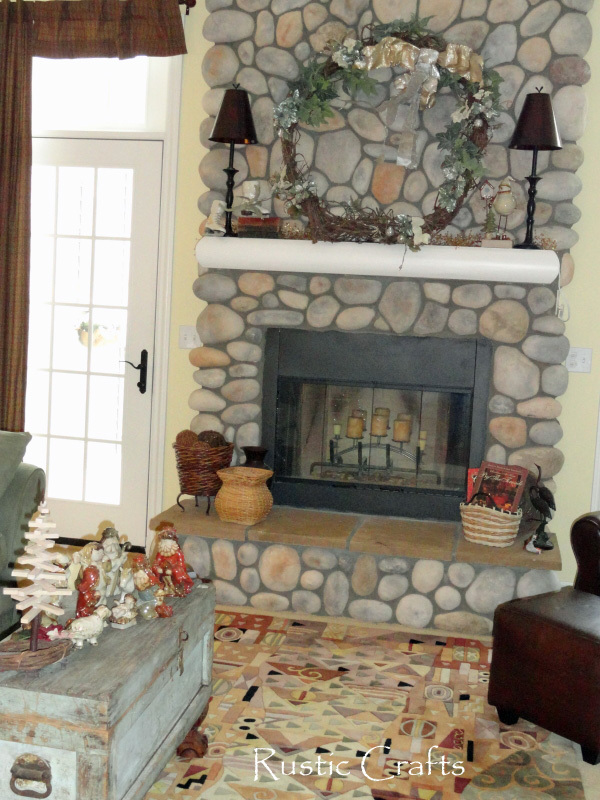 The main floor living room is a more traditional rustic with field stone and a white mantel and this first pictured mantel is from our study which is the most traditional. 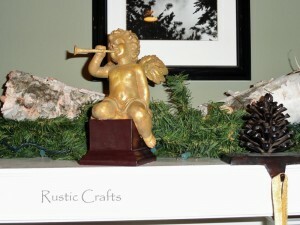 I will start with showing the details of the study mantel and work my way to the basement mantel. I started by laying out some lighted evergreen garland as my base. 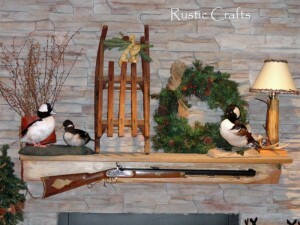 Then, I simply laid four birch logs on top of the garland in various spots to add a rustic touch. 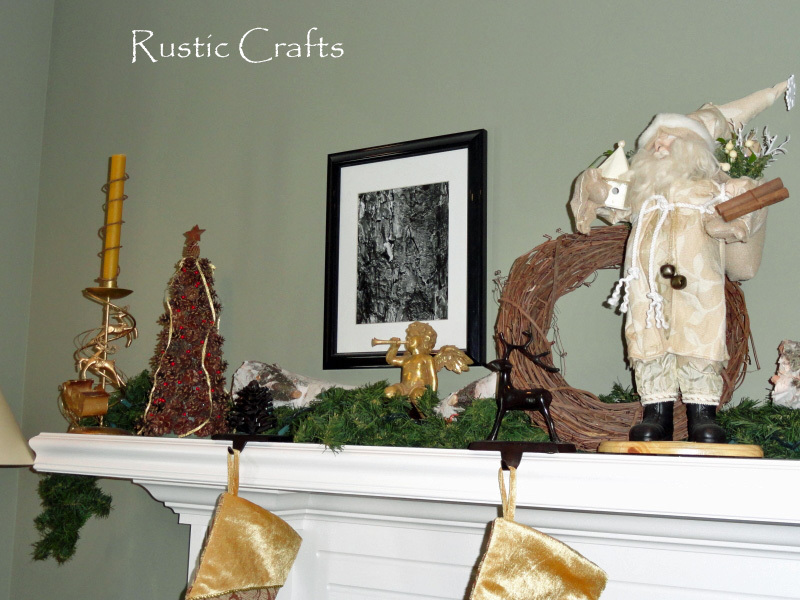 For another rustic accent, I placed a plain grapevine wreath behind the decorative santa which also added some bulk to the middle of the display. Finally, I flanked each end of the mantel with a pine cone Christmas tree. These are very easy to make. Just click on the link for the full craft tutorial. 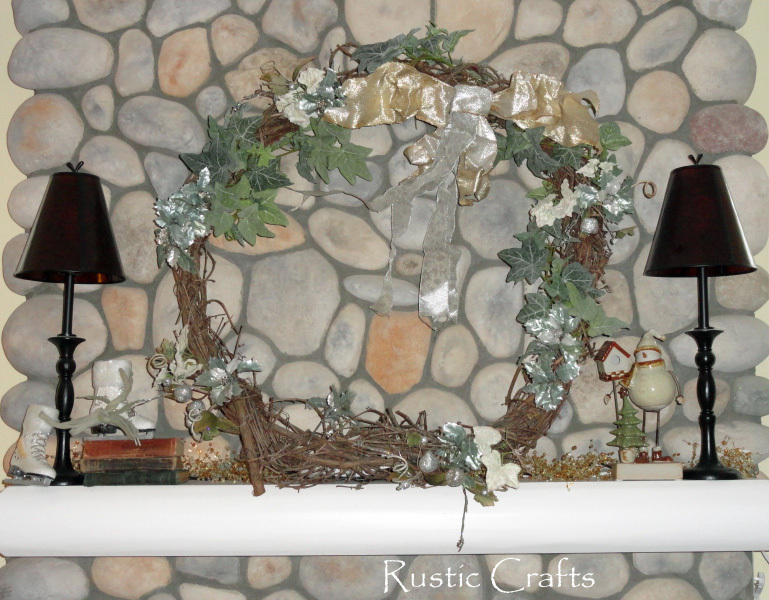 Since the wreath was so big, I didn’t need to put much else on the mantel. A pair of ice skates and a fun snowman were all the was required. I used a stack of shabby old books to give the ice skates a little more height. 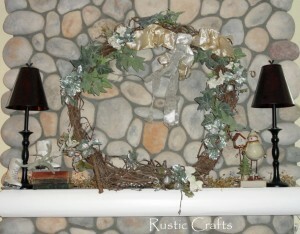 The wreath was made from wild grapevines collected from our woods. You can see how this was made from the craft tutorial here. This is the first year that I haven’t decorated this mantel completely Christmas! I really like the ducks so I allowed them to keep their place of honor. I am tempted to put Santa hats on them, though, but I will resist….I think! 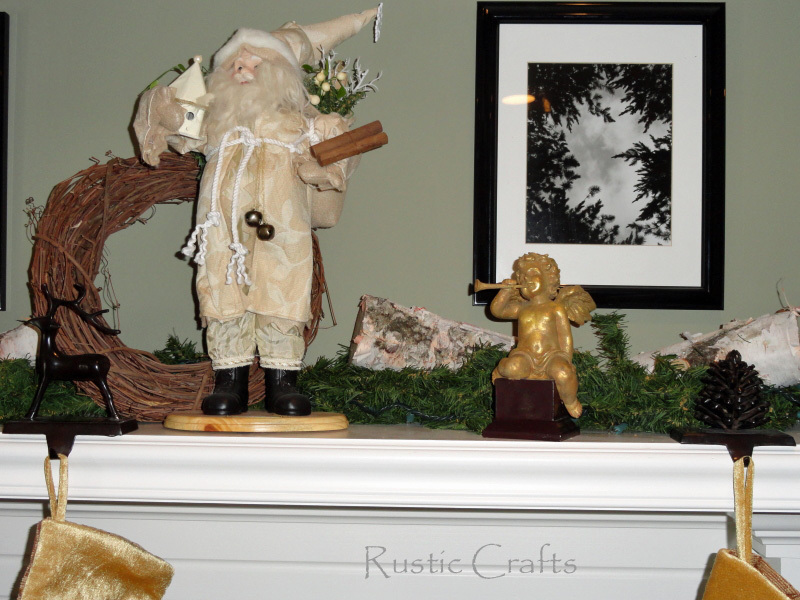 No matter how simple, each of these mantels has a rustic touch for Christmas. It doesn’t take much at all – just add a little nature! Great mantel decor! That’s one thing I struggle with every year. We don’t have much of a mantel so I’m really limited on what I can put on there. This year, however, I do like it, just would like to replace the picture that’s always there with a mirror . . . hubby just rolled his eyes . . . I may still do it though! !